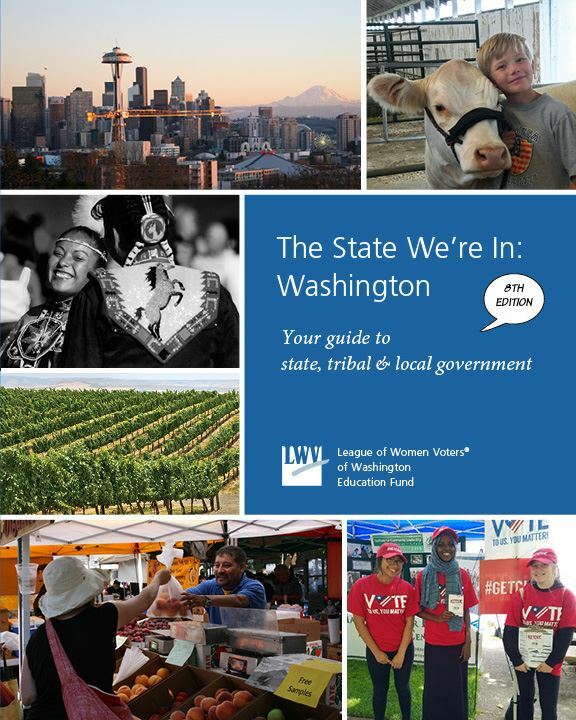 The League produces a highly acclaimed civics textbook, The State We're In: Washington—Your Guide to State, Tribal and Local Government, a friendly, easy-to-read primer that covers the basics of what government is, how it works, and why we should care about it. It is generously illustrated with graphs, photos and drawings. The State We're In is the only book that includes historic and current Tribal government as an integral part of civics education. It’s telling of Washington state’s history is fully inclusive of all the peoples of our state. Written for grades 7- 12, it is also a useful tool for ELL, GED and Basic Education programs. Its Teacher's Curriculum Guide is coded to all current state standards. Teachers, librarians and the Washington State Indian Education Association endorse it, and over 22,500 copies have been distributed statewide. State We're In Washington - 8th edition is available now. Online versions are available here. 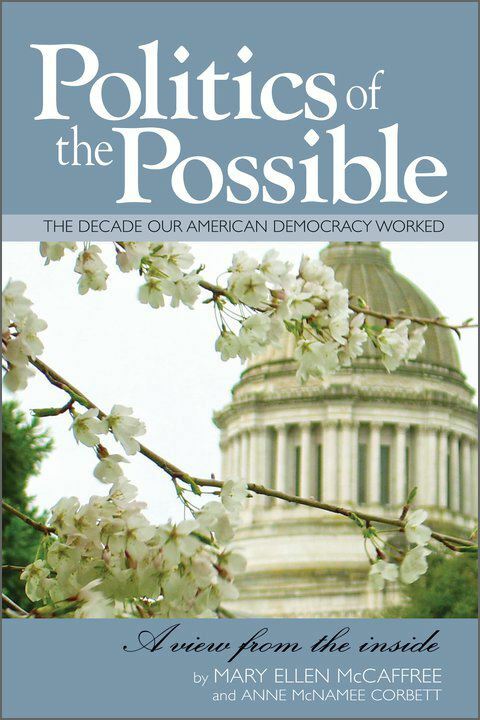 Your purchase of the book also ensures that future generations will be able to follow in Mary Ellen's footsteps: the League of Women Voters of Washington Education Fund receives $10 for every copy sold.